MBW creates Plug ‘n Play Solutions for mechanical and electronic engines AND customized engineering services. Both now available from one company specializing in CANBus communications. The best solutions for your Industrial Engine and Engine Driven Equipment needs. 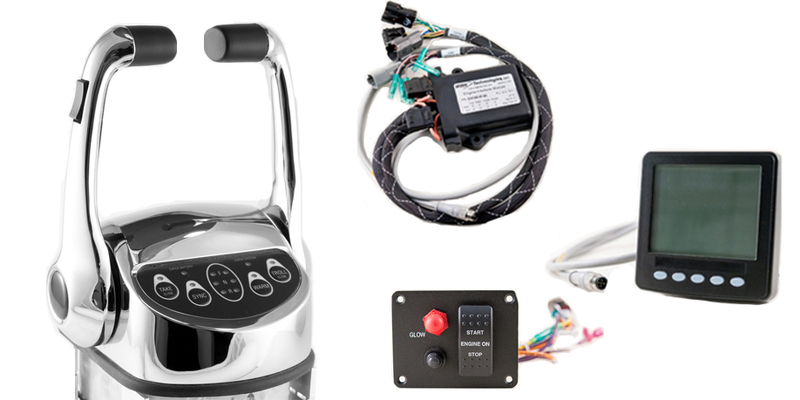 We have a wide range of Displays, Throttle Controls, Engine Monitoring and Control Panels. Custom system integration engineering is also available. With built-in diagnostics and system alarm logs that can be available at any location around the vessel. Plug 'n Play complete systems solutions are also available.